Defy law making branch of government without threat or ramifications from Louisiana State Representatives. About 9 minutes and 18 seconds reading time for this 2.6K word page. NOTICE: This is First Draft of "State Employees Defy Federal Laws" letter that will be sent to every state Senator and Congressman. We are collecting all the public statements, comments from news media to social media to show how the state law makers are aware of the States OCD-DRU director Patrick Forbes defying federal public laws 115-123 by not allowing households to cancel their SBA loan applications. This director is effectively holding households that can not afford additional debt or refused to accept assistance from the SBA liable for the thousands of dollars that SBA offered but the homeowners refused to accept. This type of behavior is most often identified with Mafia Mob Bosses from Chicago and New York. Racketeering is a planned business act that is often repeated and continuous action. The act of penalizing all homeowners for the total amount the SBA identified was the maximum amount they would be willing to offer the household as the total "Assistance" received by the homeowners from the SBA is at best mismanagement and even criminal in the knowledge that using a Loan Offered amount as actual loan or assistance received and knowing no money was taken could be seen as abuse of department power which would and could lead to criminal charges. As I gather the documents together and get ready to hand them to legal firms located outside the state of Louisiana I ask that you all start sending me your Grant Awards and your Cancellation Letters from the SBA. It's important to bring as many to the this issues table so we can have law makers offer guidance to our state government employees about how to follow Public Laws, specifically Public Law 115-123 signed by the President of the United States of America on Feb. 9, 2018. The Harry S. Truman Presidential Library & Museum has a very simple teachers lesson on the 3 Branches of Government. We all must remember this little used fact in our day to day lives after a declared disaster because it may actually help you understand some of the processes on a national level. The President of the United States administers the Executive Branch of our government. The President enforces the laws that the Legislative Branch (Congress) makes. The Legislative part of our government is called Congress. Congress makes our laws. Congress is divided into 2 parts. One part is called the Senate. There are 100 Senators--2 from each of our states. Another part is called the House of Representatives. Representatives meet together to discuss ideas and decide if these ideas (bills) should become laws. More on the 3 Branches of U.S. Government can be found here. For most of our disaster recovery I'll be saying "State Representatives" which includes. Today I am sending out messages asking our Federal level law makers to explain why a state level agency director can ignore federal law and not be held accountable by the states governor or attorney general. The issue I am addressing is the SBA Disaster Loan that was not taken, no money received by the disaster victim and the H.R. 1892 common name Bipartisan Budget Act of 2018 also holds the public law 115-123 which holds the following law. "Provided further, That with respect to any such duplication of benefits, the Secretary and any grantee under this section shall not take into consideration or reduce the amount provided to any applicant for assistance from the grantee where such applicant applied for and was approved, but declined assistance related to such major declared disasters that occurred in 2014, 2015, 2016, and 2017 from the Small Business Administration under section 7(b) of the Small Business Act (15 U.S.C. 636(b)):"
Email sent 7-23-2018 to as many politicians that signed the above law into the bill that was later signed into law by the President of the United States of America. I am looking for any of these people listed below in order of my emails that can explain to me in common English how a State of Louisiana government worker assigned as the Director of the Office of Community Development - Disaster Recovery Unit can defy the Senate, Congress and the President of the United States by refusing to follow public law 115-123. SUBJECT: SBA reporting to the State of LA OCD-DRU loan offer amounts and not loan amounts that are over 2 years old. According to FEMA the the SBA Disaster Loan program is to report any loans offered as assistance to disaster victims to other government agencies. This is part of the duplication of benefits screening. The SBA loan amount which is identified in the disaster declaration as being available to homeowners within the first 60 days of the declared disaster. The SBA extended this time period according to their letters sent to disaster victims to 6 months after the original loan offer date. This follows the SBA standard operating procedure 50 30 9 process called "8.3. REINSTATEMENT OF CANCELLED LOANS." 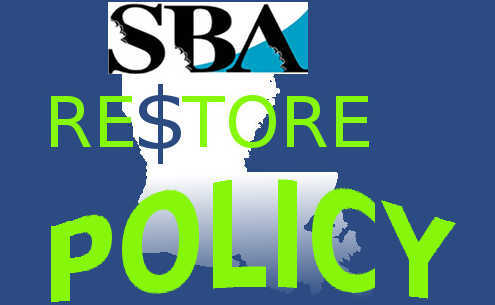 As a policy SBA does not reinstate loans that were canceled and the loan offer is over 6 months old. We declined the SBA Disaster Loan over 2 years ago but to this day the SBA provides our original loan amount to the State of Louisiana Department of Community Development - Disaster Recovery Unit (OCD-DRU) with the total approved loan amount dated September of 2016. Reviewing the SBA policy of reinstatement the SBA would not reinstate our 2016 loan offer as of this date. We declined the SBA Loan Assistance due to the inability to repay the loan amount. A report published by the SBA OIG concluded that the SBA placed serious debt burden on disaster victims during the period of 2010 to 2017. They identified that the SBA often did not factor living expenses and did not have loan amount caps in place. This report clearly identifies the issue thousands of disaster victims are experiencing today. Those that cancelled their SBA disaster loans due to the debt burden the loan would place on the household are still being told that the total loan amount is still a duplication of benefits. Even after the OIG report was made public the State of Louisiana OCD-DRU Director Patrick Forbes refuses to address the issue and remove the SBA Loan DOB from the accounts of those that did not receive assistance from the SBA. Subject: Report on the Most Serious Management and Performance Challenges Facing the Small Business Administration in Fiscal Year 2018. "We also are concerned that SBA does not limit the proportion of a borrower's gross income that may be relied on to service debt, potentially leaving borrowers with insufficient income to cover living expenses, taxes, and loan payments. Loans to borrowers with high debt burdens are more likely to default." Maximum Allowable Fixed Debt May Be Exceeded, Limiting Borrower's Ability to Repay Disaster Loans. "... On occasion, in order to facilitate widespread program delivery of disaster home loan benefits, SBA exceeds its normal home loan debt-to-income lending parameters, potentially straining and/or limiting the borrowers' ability to repay the disaster loans. SBA's disaster assistance home loan rules do not specify an upper limit to the proportion of a borrower's gross income that may be relied upon to service debt. Allocating too much of the borrower's income for debt servicing could result in the borrower having insufficient income to cover unavoidable living expenses, such as health insurance, utility bills, and taxes. This practice also results in more defaulted loans and additional financial distress to disaster survivors." We have overwhelming evidence that the state of Louisiana is not taking disaster victims best interest in mind. Declining a homeowner assistance because they refused the SBA loan that would have caused the household to fail financially is what the OCD-DRU is doing. The Director Patrick Forbes said that they can not waive the duplication of benefits to homeowners that cancelled their loans or declined assistance because the SBA could later offer the loan amount again. This is a completely uninformed discussion on the part of the OCD-DRU and it's director Patrick Forbes. When a homeowner cancelled the SBA loan and thus refused assistance from the SBA it was almost always based on the ability to repay the debt. This is want FEMA, NFIP, HUD and our OCD-DRU are trained on yearly to identify, can a disaster victim use the SBA loan to rebuild which would mean less of a burden on taxpayers? For many this answer is true, but for many this answer will inevitably end in bankruptcy, defaulting on the loan and losing all collateral and complete household family financial ruin. The State of Louisiana DOB Policy states you must "Receive Assistance" from other resources that can be identified as duplicative. Currently the OCD-DRU is identifying all SBA loans as duplicative and not screening the loans based on those that have cancelled and have not received assistance from the SBA. To go even further, the Public Law 115-123 that many US Senators to include Senators John Kennedy and Bill Cassidy of Louisiana help and read into law on Feb 9, 2018 made it clear to thousands here in Louisiana that by declining to accept assistance from the SBA their households would not be penalized the amount of money the SBA was approving them for. That law has not been put into effect or practiced by IEM Inc., OCD-DRU or any of the contractors tasked to screen SBA loan recipients. If proper screening policy were in place by the main contractor IEM Inc. out of North Carolina there would not be this issue today regarding low income and moderate income families being penalized for full SBA loan amounts that they declined assistance of and had their loans canelled by the SBA. When I personally asked the Director of the OCD-DRU and the Louisiana Homeowners Task Force if they would agree that to receive assistance they would have to actually receive money from the SBA. They refused to define the word by not responding to my question and the only answer came from the OCD-DRU attorney stating they do not have to answer that question. If Task Force members are not allowed to identify that they understand the word "Assistance" and told by the OCD-DRU legal department they do not have to answer then how are we as the victims of the 2016 floods with SBA counted as DOB and we declined the assistance suppose to support this state and it's leadership? Government workers work for the people, we do not work for the government workers. When a government worker defies law and penalizes a disaster victims household by declining to venture into the realm of bankruptcy that individual has stepped beyond their role as government employee in our opinion. We want to make it also clear that IEM Inc. who currently is providing risk management and legal resources to our states OCD-DRU department may actually be placing our state into a position that it can not defend itself from during the HUD OIG audits and low to moderate income families that refused SBA loans being left with unmet needs from the CDBG-DR program funds designed specifically to this demographics. Reimbursing 100% of the cash a person that could afford to spend but refusing to assist a moderate income family that spent every penny they had to repair and just needs a percentage to get back on their feet. These people aren't asking for 100% reimbursement like others, they are asking for grants to help them complete their homes. Then they can address the reimbursements like our retirees have been awarded by the state. To see a retired couple asking for help after spending all their savings only to be told by IEM Inc. and the OCD-DRU that because they were offered an SBA loan they couldn't receive a grant. Updating 7-23-2018 to include letters to Senators and Congressman and the real issue of allowing government workers that are not trained in law to ignore law. The States attorneys clearly show a lack of training to what it means to defy federal laws when managing federal taxpayer dollars. Even if they feel they can get away with it, the whole state will suffer under the thoughts of thousands that some underhanded method was applied to over 3,000 flood victims to cheat them out of their repair grants. It appears he is not clear on what the word "Assistance" means and may not be aware of the Public Law 115-123 that you and Senator Cassidy along with Senator Marco Rubio worked hard on getting to help those that "Declined Assistance" from the SBA to not have the Declined Assistance count as Duplication of Benefits. I understand there is confusion in the general public as well as within our state offices. We currently have two issues and only one is being referenced, the one that is not law. 1. SBA Fix, argument is, "A loan is a Loan and has to be repaid"
2. SBA Disaster Loan Declined Assistance, argument was, "SBA publishes disaster victims approved loan amount and states OCD-DRU counted those funds as "Available Assistance" even if the assistance was declined as stated in public law 115-123 and was not to be counted as assistance from the SBA. Currently the State of Louisiana Office of Community Development - Disaster Recovery Unit under the direction of Patrick Forbes continues to count "Assistance" as any SBA Loan Offer. When asked to agree on the definition of Assistance during the July 13, 2018 public comment period with the Task force all members of the task force declined to respond to the definition of the word "Assistance" as well as Director Patrick Forbes. The OCD-DRU Attorney said they can not respond to the question. 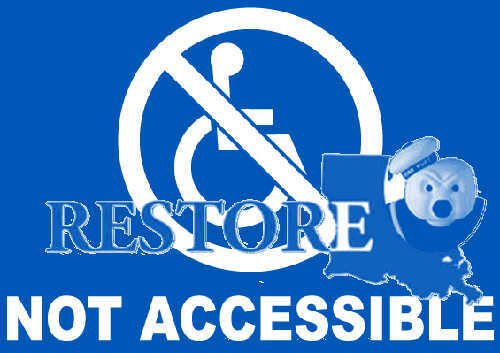 Would you please ask the state of Louisiana OCD-DRU to follow public law 115-123 and to learn the definition of the word "Assistance" and apply that definition to the states Duplication of Benefits Policy Exhibit 2-5 which was signed by Director Patrick Forbes in 2014 accepting the words "DOB Benefits: Receive Assistance" . It appears the OCD-DRU understood the definition of "Assistance" in 2014 but has forgotten it after the 2016 Floods. 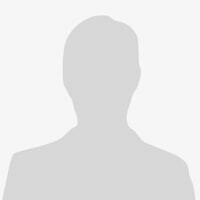 HUD has identified Public Law 115-123 by publishing it's 2017 Events Federal Register Notice to the HUD Exchange website. Loan funds are disbursed in accordance with the Loan Authorization and Agreement (LAA). Exceptions may be made with proper justification by a Supervisory Attorney Advisor. check to determine if all insurance, grants, and/or other recoveries have been addressed. SBA loan (e.g. HUD, Community Development Block Grants, etc.). 2. There is no outstanding balance, the loan was cancelled in full, or the disbursed balance has been paid in full.